We have all heard the infamous story from Exodus in the Bible were the Egyptians suffered ten plagues, each deadlier than the last. The eighth plague condemned to them was a swarm of locust so large that it prevented the Sun’s rays from passing through. Yet today many questions arise concerning swarms, not only of ancient times but of the future. Like all studies that delve into new concepts, we must start at the very beginning and work our way up to the more difficult questions of “why?” Before we discuss the entire swarm, we must look to each member and understand them individually. So what exactly is a locust? 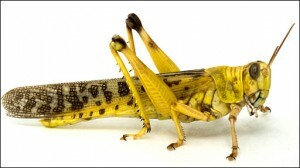 Well the short answer is that a locust is a bug, one very similar to a grasshopper. They generally live a solitary lifestyle and only survive for a couple of months. These creatures only weigh about two grams and aren’t much bigger than a typical paperclip. So far it is sounding exactly like your typical grasshopper right? 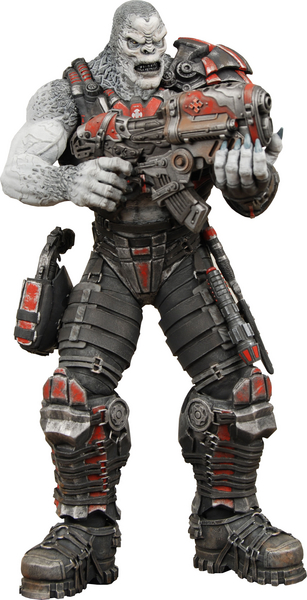 So what actually makes a locust a locust? Every locust has a behavioral phase unlike that of a grasshopper known as the gregarious phase. This explains the “swarms” that appear when certain environmental conditions are occurring. One specific kind of locust (the desert locust) is known for destroying vast amounts of crops and threatening famine which in turn threatens the local economy and in some cases the global economy. These locust swarms can be as widespread as 460 square miles. There are roughly 40–80 million individual bugs per pack, with each pack occupying about a half square mile. As I mentioned before, these creatures are only about the size of a paperclip, but each locust can eat its own body weight daily and when you are in swarms of over 40 million that weight adds up quickly. A swarm of the aforementioned sizes would roughly eat 423 million pounds a day, which would be devastating to a place such as a desert where plant life is scarce to begin with. Now that we have a basic understanding of these field devouring bugs, let’s look into why normally shy creatures swarm. A combined study by three different universities, (Oxford, Cambridge and Sydney) has found large amounts of the hormone serotonin in the locust’s nerves. They were found in the middle section which controls the legs and wings. But what actually triggers this hormone? The study found that large amounts of rainfall would cause the population of locusts to grow rapidly. However, if an extreme dry period followed the wet period then the population would be forced to share minimal amounts of food and be in confined spaces. This forced normally solitary creatures to interact and be near others. The hormone drives the locusts to eat and when all the resources available are depleted they swarm, searching for new food to eat so they survive. It has also been found that swarming Locusts have 30% larger brains. This allows them to focus on the necessary activities for swarming. Check out this Youtube video for a better understanding on what physically triggers swarming behavior. Scientists hope to be able to prevent swarms of locust in the future with this new information. They believe they can follow weather patterns, predict when locusts are going to swarm and respond in time by introducing a chemical into the area that would reverse the serotonin reaction occurring in the locusts. In the event that this did happen, the economy could be saved from a disaster, a disaster caused by a bug that is only the size of a paperclip. Towards the bottom, Princeton professor Iain Couzin tells about the amazing discovery in his lab: the locusts are chasing each other in a cannibalistic frenzy, biting their rears, which makes them “align” (like a fish school) and thus exhibit swarm behavior. Couzin has actually built a mathematical model of this! Does their consumption of food increase with swarmimg (per unit)? I wonder if its better to have them swarm and then spray them when they are together rather than keep them dispersed. Australia recently controlled a massive locust plague with spraying. Great research though and nice write-up! hat tip to Lorena Barba for the link.